50 Countries and Counting: A Naturalista's Travel Adventures in Panama (Including The San Blas Islands) Nicaragua, Belize, Honduras, Costa Rica and Guatemala! Traveling to Central America opened my world in so many ways, in terms of uniquely diverse, beautiful people and interesting cultures. I learned so much and had excellent opportunities to practice my Spanish language skills. Traveling to Central America opened my world in so many ways, in terms of uniquely diverse, beautiful people and interesting cultures. I learned so much and had excellent opportunities to practice my Spanish language skills. I only have one place left to visit there, which is El Salvador. Below are my thoughts, in brief, about these lovely places with encouragement that you experience them all. My first visit to Panama was on a vacation with my husband. This was a fantastic experience! We stayed at the hotel owned by the now infamous political candidate called the Trump Ocean Club Hotel and Tower. Politics aside, as this was well before he was a candidate, his hotel in Panama is fabulous! I most enjoyed the infinity pool, which is fantastic! We also enjoyed the sites of Panama through an excellent city tour including Casco Viejo, a vibrant and colorful neighborhood with the hottest nightlife, and Panama Viejo. 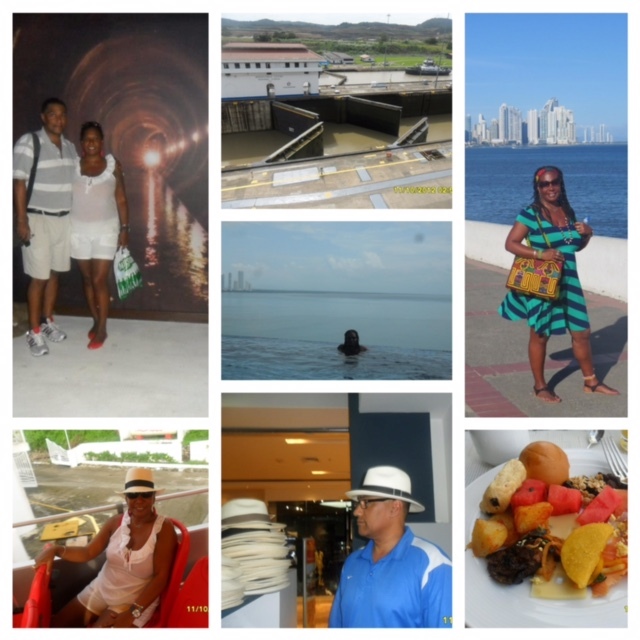 We also thoroughly enjoyed a visit to the Panama Canal Miraflores Locks, which is not to be missed. Panama City is very vibrant and based on its architecture, which includes many high-rise condos, it reminds me quite a bit of current day Miami. The food is delicious, the people are friendly and there are wonderful handcrafted items to buy, made by the various groups of indigenous people. Panama is an excellent place to visit. My next visit to Panama was to the San Blas Islands. This was a different experience in that it was all about immersion and learning the nuances of the beautiful culture of the Guna (Kuna) people. The preferred and recognized spelling is Guna. 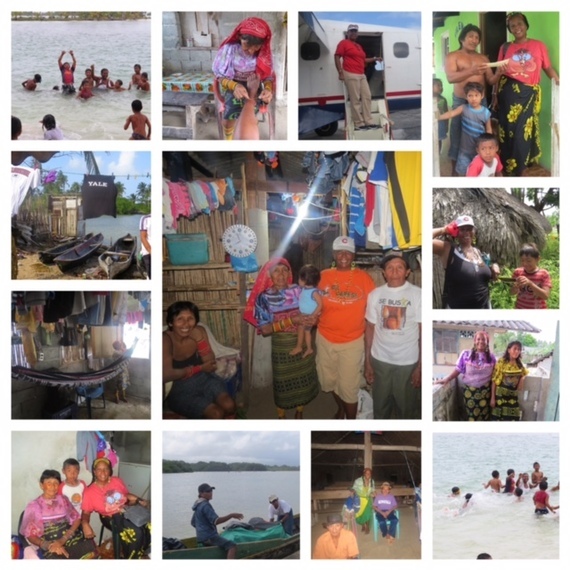 With colleagues, I traveled to Panama City first, followed by a small plane and then a canoe of which the latter was a rough experience to get to one of the San Blas Islands (Kuna Yala). The San Blas Islands are the traditional homeland of the Guna people. They are known for their beautiful hand stitched items--made by the women, called Molas and so many other beautiful cultural aspects of their lives. Once we arrived on the island, a cultural experience ensued, which I will remember forever. I was so intrigued by the fact that they live, basically, the same as their ancestors. The Guna people are so gracious and steeped in their beautiful traditions including language, customs, clothing, beaded ornamentation, handcrafted items, food, colors, housing and beyond. I felt privileged to be in their midst. I stayed with a family, in a basic hut, where I slept in my hammock that I brought with me, right by the stove in the kitchen. The bathroom was an outhouse, facing the ocean, with a large pig and her piglets next to it. At first, this took me aback since I am a city person, and then I decided, no problem. After a short while, it was not a matter of concern to go out to the outhouse but rather a time to take in the ocean when I least expected to do so. I bathed within a makeshift shower and through the use of a large and small bucket in a tiny shack next to the house. This was quite an experience but I also began to appreciate this time of quiet solitude. The family that I resided with consisted of the grandmother, who was the matriarch of the family and completely in charge, her husband, their son and his wife, their two children, a son and a daughter, the daughter's baby and her husband. All of these individuals lived in one fairly large room, essentially their house, which included a small kitchen. Each morning when I woke up, the grandmother would sweep the dirt floor with a make-shift broom while her son made fresh bread (rolls and twists), which were delicious! Luckily I brought my sleeping mask because this sweeping and bread making began at about 5 a.m. every morning. I learned to sleep right through it, enjoying the smell of the baking bread, which enhanced my dreams as I also heard the waves of the ocean--back and forth, all through the night and into the morning. Each night, I fell asleep to the granddaughter of the matriarch singing to her baby in a hammock while breastfeeding her, with her husband snuggled next to them in their hammock. It seemed to me that those were precious moments for them. The greatest part of the experience was the children. It was wonderful to spend time with them, swimming and talking and learning about their carefree daily lives. They were all so beautiful, kind and innocent, with the entire island as their playground and every person on the island caring for them as if each child was their own. Although they did not have much, they played each day, spending time with their many relatives and enjoying the fruits of the island, literally. It felt like joy. Honestly, I didn't want to leave the island and that home. 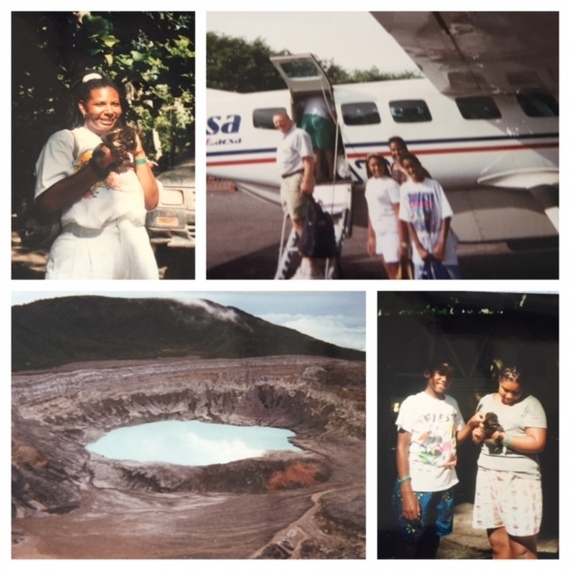 Of course, I missed my family during my stay with them, but I cherished that peaceful time with no computer, no cell phone and essentially no worries. I learned with love, a beautiful way of life that was very different from my own. Nicaragua was interesting because two experiences happened there that were noteworthy. I traveled there with my husband and daughter. My husband had recently torn his achilles, while playing basketball, so he was on crutches. So the first interesting experience was getting around with my husband, with his crutches, with our daughter helping us through the entire ordeal. 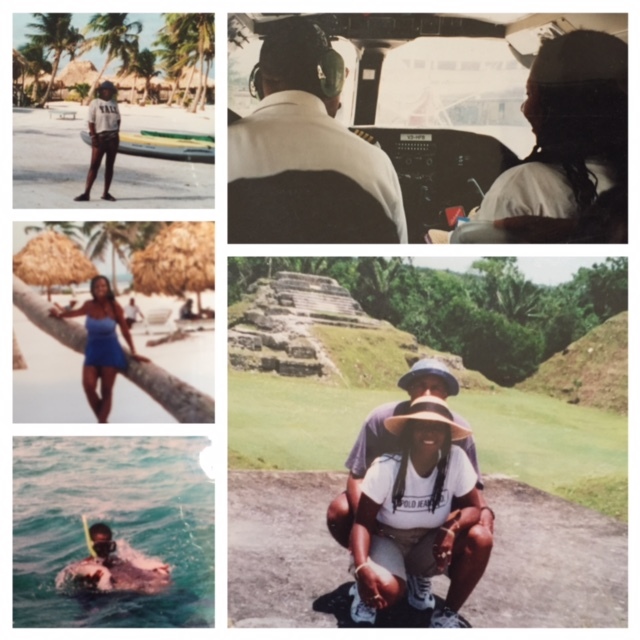 We didn't change the trip as we had booked our flight and an all-inclusive hotel on the ocean and he insisted on going, as the trip was our daughter's graduation present. He was quite the trooper, not missing anything except swimming. So we got him safely in a nice comfy chair by the pool, during swim times, and would occasionally sprinkle water on him to make sure he stayed cool and provided him with lots of refreshments. He truly relaxed because he had no choice, which was great! However, an even more dramatic experience was when we arrived at the airport in Managua. As we went to pay the required entry fee, that had to be paid in cash, we realized that no one had gone to the bank at home and we did not have one dollar on us, just our debit and credit cards. To make a long story short, there was lots of waiting and extensive explaining until we finally got the authorities to let us leave the airport and go to an ATM to withdraw cash. There was that moment of "did you get money" followed by "no I thought you did." "Me? But, I'm on crutches so that's not possible." We looked over at our daughter who was just shaking her head in shock at her normally totally organized parents. If we didn't resolve this problem, this trip would have been an awful High School graduation present for her so this mishap was definitely not what we wanted to happen. Luckily we were permitted to be driven to an ATM by a taxi driver who was instructed to bring us back to the airport so we could pay the entry fee. We did and all turned out fine and we enjoyed every moment there. We especially enjoyed eating whole fried fish, plantains and rice. I couldn't get enough of that particular meal. We stayed at the Barcelo Montelimar, which is a gorgeous, all-inclusive spot with delicious food, a fantastic pool and it's located on the beach. We also visited a volcano, a wonderful craft market and took a boat trip. Nicaragua is a place for relaxation, beautiful scenery, delicious food and lovely people. It's definitely worth the visit but try not to go on crutches. My husband returned there this year, on a service trip to help with the building of a house, this time not on crutches. The experience was very rewarding for him and a wonderful opportunity to serve. I found Belize to be a particularly special place that I traveled to with my husband and our children. We spent our time on the Island of Ambergris Caye. It is one of the most laid back places that we've ever visited. Our hotel was lovely, with our rooms facing the ocean and steps away from the sand and water. There was no television or clock in our hotel rooms and barely a need to wear shoes at any time. 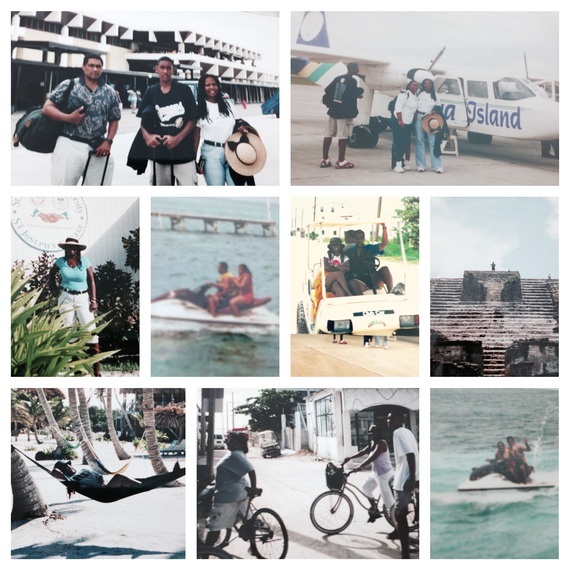 We found ourselves completely relaxed, without a care in the world, except for the plane ride over from Belize City to the Island, where the plane was so small that I was sitting next to the pilot with my family behind me. We especially enjoyed a lovely boat trip, where we snorkeled with nurse sharks swimming around us. These sharks, although they appear ominous, are generally harmless unless one foolishly provokes them, which we did not. We went bike riding around the island, spent a great deal of time swimming in the ocean and eating, both at our hotel and at local eateries. If you want to get away to a beautiful place, relax and enjoy peaceful moments and very friendly laid-back people, then be sure to visit Ambergris Caye. It is definitely worth the visit. My visit to Honduras was after Hurricane Mitch, one of the most serious Hurricanes in Central America, where there was considerable flooding and overall damage. I visited Tegucigalpa, with my public health colleagues, who were also Professors. Our goal was to assess the impact of this devastating natural disaster on the people and the land of Honduras. It was an important and sad trip and served as an experience to be remembered because of the courageousness and the resilience of the people. There was some time to see some of the city, including Plaza Central and some of the historical churches but it was definitely not a time to revel in tourism. Site seeing was to determine the impact that the hurricane had on historical monuments, if any. Most of the time, I felt sad and along with my colleagues, just tried to help the people through the lending of public health expertise. I must return to Honduras some day as my love for the people, whom I met under such difficult circumstances, remains. I must remember, however, that I am quite afraid to fly again into the Toncontín International Airport, which is rather scary. The runway is very short, it's a mountainous region and the landing is just frightening!! Keep this in mind if you plan to fly there. Perhaps things have changed but that is what I recall regarding the Flight experience. Costa Rica was once again, a lovely family trip. I love Costa Rica! Truly, there is natural beauty there, beyond what you would normally expect. We visited Poas Volcano, a rain forest where we were able to hold adorable little monkeys, went Boogie Boarding in the ocean (our children's favorite activity there), swam and sunbathed all day. We started our journey in the capital city of San Jose and took a nice city tour. It was a little busier than I imagined there but definitely comfortable. We made our way to Guanacaste where we stayed at a lovely, all-inclusive hotel on the beach. It was some time ago but I remember delicious food, excellent times on the beach with our children and general chilling. When our children were young, beach vacations in beautiful locations involved lots of rest for us, the parents, and massive playing and fun for the children, with interesting sightseeing in between. That was our Costa Rica experience. It is a beautiful nation, with lush and vast flora and fauna and an overall delight for your senses. It's definitely a must do! My trip to Guatemala was with my family, including my husband and our son and daughter. We began our experience in Guatemala City. We had been warned that it was dangerous, there would be safety risk and to be careful. We did not experience any disconcerting or fearful moments while in Guatemala City. In fact, we found it very nice and more interesting than we had imagined. There was the reality of old buildings mixed with the new including skyscrapers and very beautiful modern homes. We took a city tour and walked around, enjoying every moment. I was able to purchase some beautiful jade pieces there, which is one of the key things to buy in Guatemala. We then stayed in the lovely city of Antigua at an awesome, authentically Guatemalan hotel called Hotel Pasado de Don Rodrigo Antigua where we were able to see beautiful Mayan people, learn about their culture and purchase their excellent crafts. As an example, I bought a quilted blanket that is one of the most cherished items in my home. We ate tortillas, made by a lovely older Mayan woman at our hotel. My son ate many of those delicious tortillas and she just loved making them for him. Antigua is a great place to walk, observe and take in culture that is uniquely different from my own. The architecture is extremely interesting including the churches and beyond. 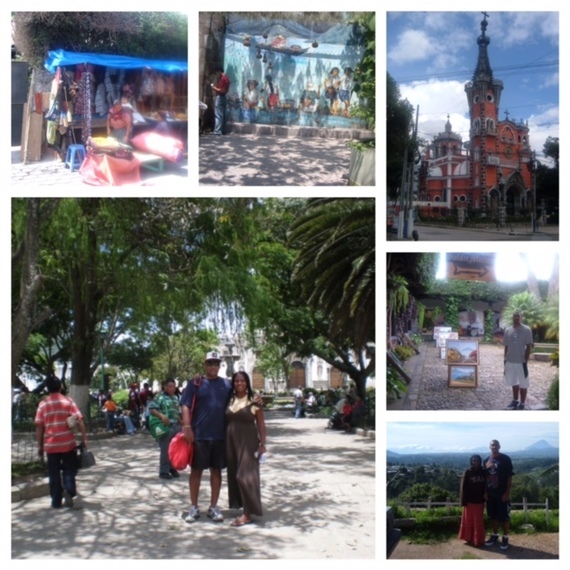 We then headed to Panajachel where we stayed at the Hotel Posada de Don Rodrigo, Lake Atitlan. We enjoyed a beautiful view of this gorgeous lake, known as one of the most gorgeous in the world, as well as the spectacular mountains. I did yoga, alone, in peaceful silence, every morning as I looked at this beautiful scenery. We traveled across Lake Atitlan, on a small boat, to visit some of the smaller towns, which was a very interesting cultural experience. The Mayan people are very interesting, kind and the way they live provides a true understanding of their love for their culture and history. I truly enjoyed Guatemala and would definitely return again as we did not have time to visit some locations that I know will be definitely worth seeing there. 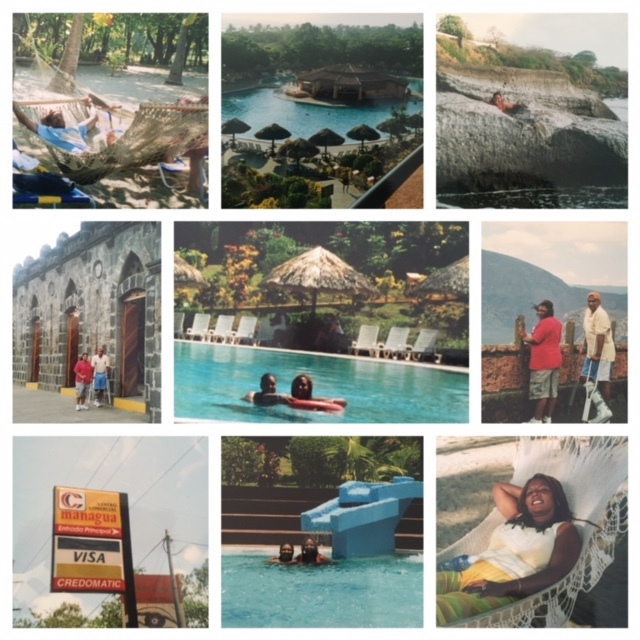 Experiencing Central America was definitely wonderful at all of the locations we visited. Next I will cover Brazil, which you don't want to miss it! Until then, below are travel tips that I hope you will find useful. 1. Try to Stay at local hotels that are reflective of the culture of the nation you are visiting. In many countries, you will find hotels that are owned by the local people. This will add to your experience. 2. Understand and explore the indigenous culture and their history. Often times, poverty is the result of nations being ravaged by others and then left behind to survive with little. Knowing the truth will help with understanding, compassion and love for the people as you visit their nation. Don't expect poverty, however. Nations, particularly in Central America, as an example, have a great deal to offer in terms of wonderful people, beauty, architecture, development outstanding creativity, and more. 3. Observe the primary colors that are used primarily in craft making and other important items of the country. Often this vibrancy in colors will help you understand the focal point of the nation and how it differs from other locations that are seemingly similar. 4. Try to always go beyond the tourist sites. This can often be accomplished by walking, talking to the local people and taking an impromptu trip based on their input--for example--going across Lake Atitlan in Guatemala to visit smaller towns. It was in these places that we experienced the heart of the people and learned of their deeply held spiritual practices. 5. Small Planes and canoes are sometimes your only choice for remote destinations. Most times, I am not too thrilled to go on a small plane or to take a canoe across a vast lake or ocean. But I have done it. If not, I would have missed Ambergris Caye in Beliz or the San Blas Islands of Panama, as examples, which were two fantastic experiences! It is usually worth it to go outside of your comfort zone.